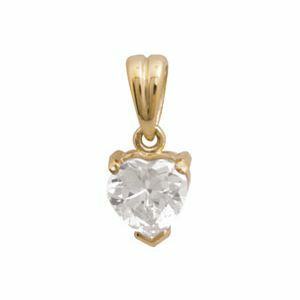 Solid 9ct yellow gold claw set white cubic zirconia heart pendant. Gemstone: 1 x cubic zirconia cz white heart 7X7mm. Type: gold cz heart pendant.